Using the Zoom Web Portal, you can change default background image or customize the background image for a room, floor, or location. 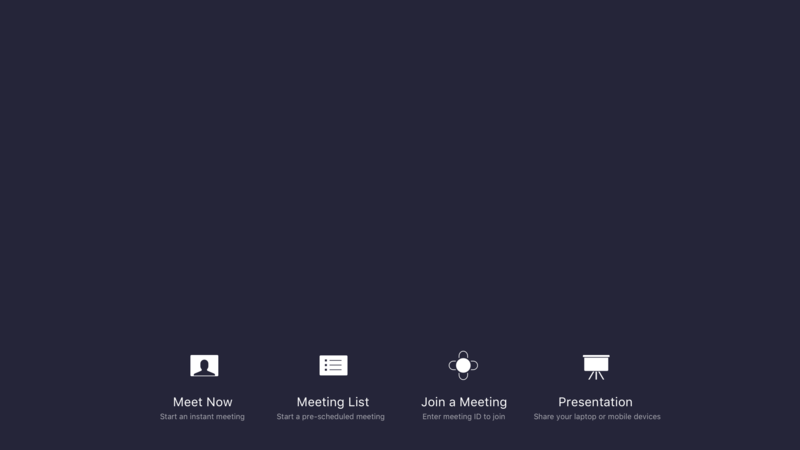 You can also customize Zoom Rooms digital signage content to share important messages when the room is not in use or the scheduling display background to use a custom image on your scheduling display device. Follow these steps if you want to change the default background image for all Zoom Rooms in your account. 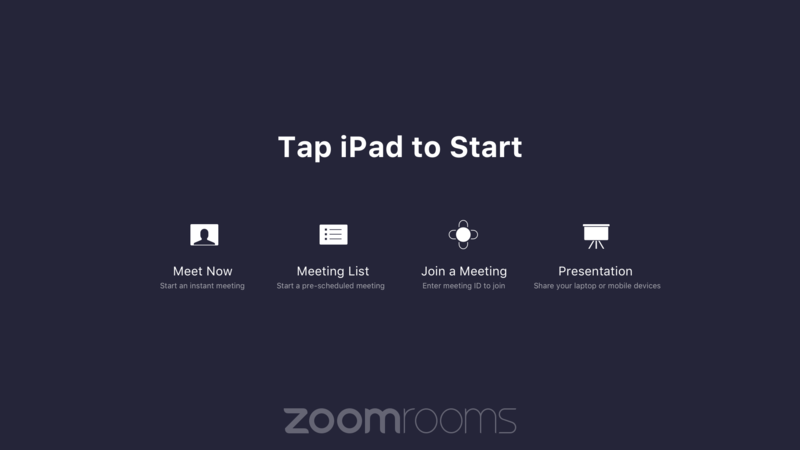 Log in to the Zoom Web Portal and click Zoom Rooms. Click Account Settings at the top of the page. In the Account Settings tab, click Upload New Image. Note: Verify your image meets these requirements. Format: GIF, JPG/JPEG or 24-bit PNG (no alpha). Any transparent areas of PNGs will be shown on a white background. Select your image and click Open. When you upload a customized background image for a specific room, floor, or location, it will replace the default image. Click Edit next to the room, floor, or location, depending on where you want the background to be applied. In the Room Settings tab, navigate to the Room Setup section. 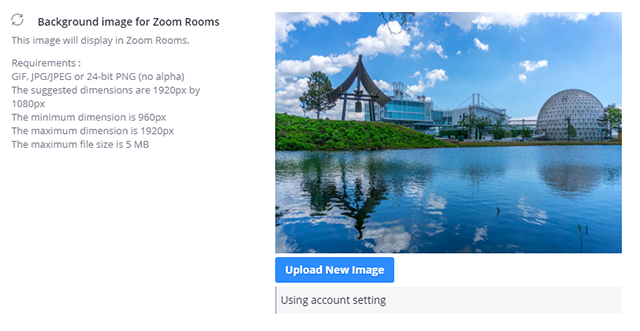 Next to Background image for Zoom Rooms, click Upload New Image. If you added your own default background image, you'll see a preview of it along with the "Using account setting" notification. Select your image, and click Open. 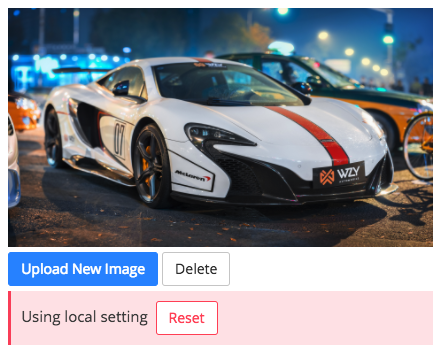 Tip: Click Delete or Reset to remove your uploaded image. If your account has a default image, it will replace your uploaded image. How do I change my Zoom Room background?